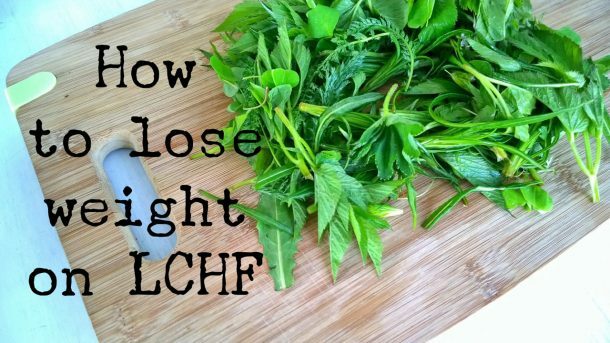 Can I lose weight on LCHF? Many people are first introduced to the ideas of Low Carb High Fat because they wish to lose weight. Weight loss, often effort less and without hunger, is one of the most appreciated “side effects” of this lifestyle. Losing weight – with LCHF or any other diet or lifestyle – requires two things in my opinion: Patience and perserverance. Preferably combined. Especially if you’re looking to lose many pounds. You didn’t gain the pounds over night and you won’t shed them over night either. Also, if you’re eating LCHF for the sake of weight loss, you may not be able to eat the same types of foods as those who eat LCHF for weight maintenance. This means that you will need to focus on eating a diet primarily based on real food and a little less on the divine low carb brownies. Damn it! Calories are still king when it comes to weight loss and low carb brownie adds quite a lot of calories and not at all the same satiety as the same amount of calories eaten in real food. How many carbohydrates can I eat and still lose weight? This is impossible to say as we all have different limits to how many carbohydrates, we can eat. This difference is often based on gender, physique, activity level, how much lean muscle mass we carry etc. I always recommend to start off with 3-4 weeks of following a pretty strict LCHF-diet (maybe 20-50 g of carbohydrate per day) to get the body to enter ketosis and start becoming fat adapted. After that you can slowly add more carbohydrates and see how it affects your weight, your appetite, you sugar demon and your general wellbeing. Strict LCHF means that you limit carbohydrates to 5-10% of your calories. In grams, that equals 20-50g of carbohydrate. It’s a myth that you cannot eat any vegetables when eating so little carbohydrates. If you choose wisely, meaning primarily leafy greens and cabbage, you can still eat quite a lot. Obviously there won’t be room for too much dark chocolate or other fun stuff so it requires that you prioritize using your daily carb allowance on vegetables. But do I really need to eat all that fat! Yes, you do! Fat is your new best friend. Fat is your new fuel and your key to satiety and reduced appetite. If you don't eat enough fat, you'll end up eating too much of something else, in this case either carbohydrates or protein (remember that excess protein is converted to glucose through the process of gluconeogenesis). And that will prevent you body from becoming fat adapted. So do I need to egg fast or fat fast? I get that question a lot and my personal thoughts are no. You don't have to go to extreme measures to lose weight. 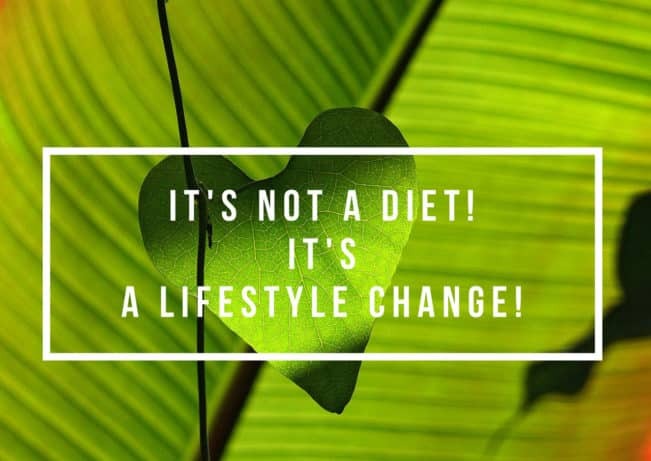 I believe strongly in a lifestyle change as the answer to any weight loss problem and I do not believe in different types of mono diets. In my opinion, we're leaning towards disturbed eating patterns here. I understand the the simplicity of a mono diet can be relieving but I don't believe it teaches us anything important, other than maybe the wrong message that weigh loss requires drastic methods. There is no magic in an egg or in butter that will solve a life long weight problem. What these mono diets do is they help your body get into ketosis by restricting carbohydrates to almost zero. You can get the same effect by eating a strict LCHF diet that is both balanced and with lots of vegetables. When you switch from a high carbohydrate diet to a low carbohydrate diet, what happens first is that your body empties the glycogen stores and sheds the water weight. That looks good on the scales and even around your waist but don't panic if the weight loss slows down after the first couple of weeks. This is completely normal. If you're losing no weight at all over a period of several weeks, check out these 10 common reasons you're not losing weight on LCHF. My advice is to forget about crash dieting or finding the next quick fix for weight loss. Just forget about it right now. They won't bring you any closer to your goal weight. Instead, I suggest that you make a long term plan for your health and weight and stick to it. If you change the course every week, you won't get a clear picture of what really works for you and what doesn't. Your body also has to adjust to all the new things you do for it. So take your time. Remember that this is the last time in your life you'll lose those kilos. This time you're making a lifestyle change meaning that you won't gain it all back and in that perspective it doesn't matter so much hos long your weight loss journey is as long as you're constantly moving forward. We all remember the days where we could go on a diet and lose 1 kilo per week but most of us has to accept that that is not possible once we reach a certain age. Maybe you only lose 1 kilo per month. That may not sound like af lot but a year later, you'll have lost 12 kilos and that's still better than to have gained 5 from yoyo-dieting. Also consider hiding your scales for a while This especially goes if you experience bad feelings or bad choices after seeing its verdict. Some people tend to over indulge or overeat if they see that the weight has gone up (it doesn't matter anyway) or even to celebrate if the weight has gone down (oh, now I can allow myself a little extra). Either way they lose. And by lose, I don't mean kilos! Your weight fluctuates several kilos every week, sometimes even in the same day. If you have the heart for it, try to step on the scales every day. Maybe sometimes several times per day. Do this as an experiment for about a month. Promise yourself that you won't let negativt feelings take over no matter what result you get. See it as a scientific experiment that will help you understand that the number on your scales is not definitive. All it tells you is you weight here and now. It says nothing about water weight, fat percentage, muscle mass etc. Use the numbers to detect a trend. For more accurate results, don't let the scales stand by itself. Also use a measuring tape and measure your waist, thighs and arms or try on your favorite skinny jeans once a month. Again, there is no one number to fit all here! I can't tell if you're a small, inactive girl or if you're a large hard working active man. It goes without saying that your daily calorie allowance won't be the same. Even if LCHF emphasizes carbohydrates more then calories, calories still count. You just don't have to count them and I actually recommend that you don't count them, maybe except for testing how a day's worth of food may look like. There's a misunderstanding that you can eat unlimited amounts of calories without gaining weight if you keep your carbs low. That is not true. Eating more calories than you expend will still make you gain the weight. What LCHF does is it makes your body really good at burning fat by making it a fat burning machine. This means that you body can easily dip into fat stores for fuel. But if you eat your daily calorie allowance, your body won't need to dip into your fat stores. What you'll notice is that the low carb high fat food, you now eat, will make you feel full and satiated for longer so you won't need to eat as often. And that's why you'll probably end up in a calorie deficit without even trying. And then you'll lose weight! PS: For more inspiration, don't forget to sign up for my newsletter! I promise you I won't spam! Sign up here: Join me!